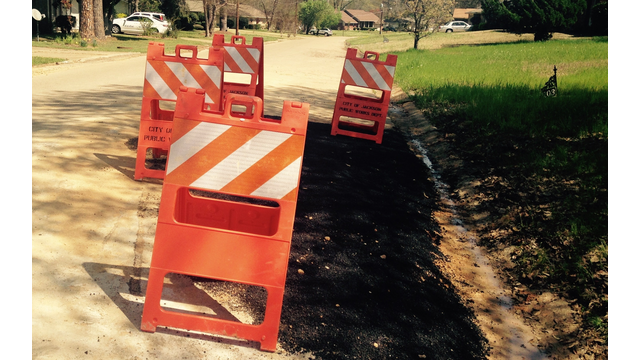 City officials in Jackson are trying to find the resources to fix its failing infrastructure. Last week the mayor declared a state of emergency. According to the mayor the city's infrastructure has been plagued by problems for decades, but has reached a crisis point following severe winter weather. Last week officials say in just one day there were three water main breaks. Shelia Byrd is the Director of Communications for the Mayor’s Office. Byrd said it will cost 750 million to one billion dollars to address all of the city's infrastructure needs. Ward One City Councilman Ashby Foote said the Mayor's Master Plan will help to fix many of the infrastructure problems in the city. Some of the city’s needed repairs include 1,200 miles of streets, 200-plus bridges and hydraulic structures and 1,100 miles of water main. Last year Jackson residents passed a one percent sales tax increase, to specifically fund infrastructure improvements. Revenue from the tax increase is estimated to bring in 13 million dollars a year, which is not enough to fix all of Jackson’s infrastructure problems.